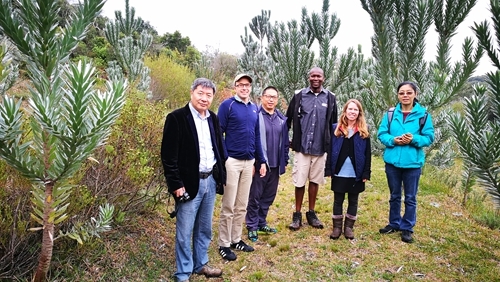 Prof. Chen Jin, director of Xishuangbanna Tropical Botanical Garden (XTBG) headed up a 5-person group to visit the South African National Biodiversity Institute (SANBI) on invitation from August 30 to September 6. The visit was mainly for experience sharing in plant introduction, gardening and horticultural display, and botanical garden management, etc. 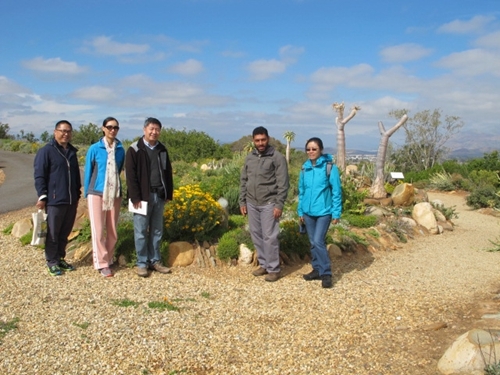 XTBG researchers visited the gardens under SANBI, including the Kirstenbosch National Botanical Garden, the Karoo Desert National Botanical Garden, Harold Porter National Botanical Garden, Lowveld National Botanical Garden, and two national parks in West Coast and Kruger. 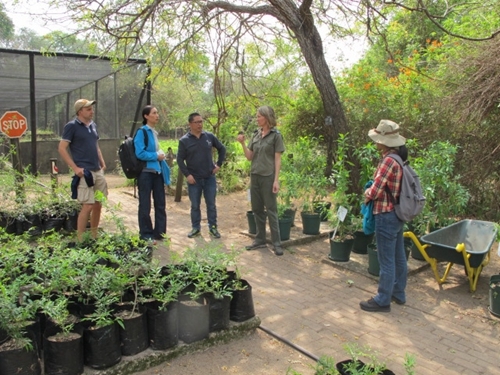 They shared experience and thoughts in in situ, ex situ conservation, reintroduction, and management of native plants. They also discussed protection and management of national parks with the African counterparts. 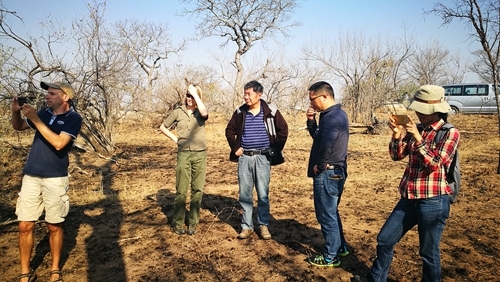 Moreover, XTBG researchers discussed cooperation potentials of XTBG and Chinese Union of Botanic Gardens (CUBG) with SANBI and its national botanical gardens. The XTBG researchers visiting SANBI include Prof. Chen Jin, Prof. Zhang Ling, Prof. Kyle Tomlinson, Dr. Shi Jipu, and Ms. Wang Xiaojing. Prior to the visit, Prof. Chen Jin attended the Global Partnership for Plant Conservation (GPPC) 2018, a conference aimed at supporting the worldwide implementation of the Global Strategy for Plant Conservation (GSPC). 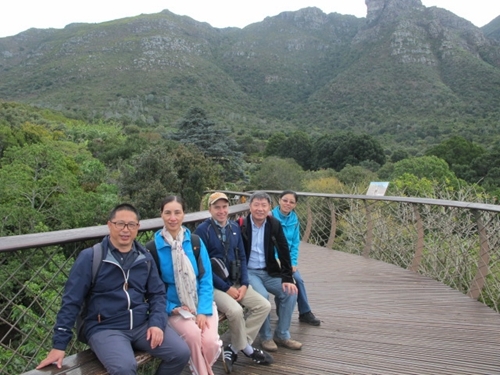 The conference was organized by by the Global Partnership for Plant Conservation (GPPC), in association with the Secretariat of the Convention on Biological Diversity (SCBD) and Botanical garden Conservation International (BGCI), and hosted by the South African National Biodiversity Institute (SANBI), Kirstenbosch National Botanical Garden, Cape Town, South Africa. The South African National Biodiversity Institute (SANBI) leads and coordinates research, and monitors and reports on the state of biodiversity in South Africa. The institute provides knowledge and information, gives planning and policy advice and pilots best-practice management models in partnership with stakeholders. SANBI engages in ecosystem restoration and rehabilitation, leads the human capital development strategy of the sector and manages the National Botanical Gardens as ‘windows’ to South Africa’s biodiversity for enjoyment and education.